QR Code 'Scan Me!' Name Tag - 3" x 1"
ADA Sign Horizontal 4" x 22"
You’re not coming in here! With this NO ENTRY Notice Sign, there is no question about which direction to go! Made of heavy-duty aluminum, our notice signs are guaranteed to last for years to come. Post this sign at your residence or your office and let all visitors know they can only go one way! Questions about your order? Our representatives are ready to help! 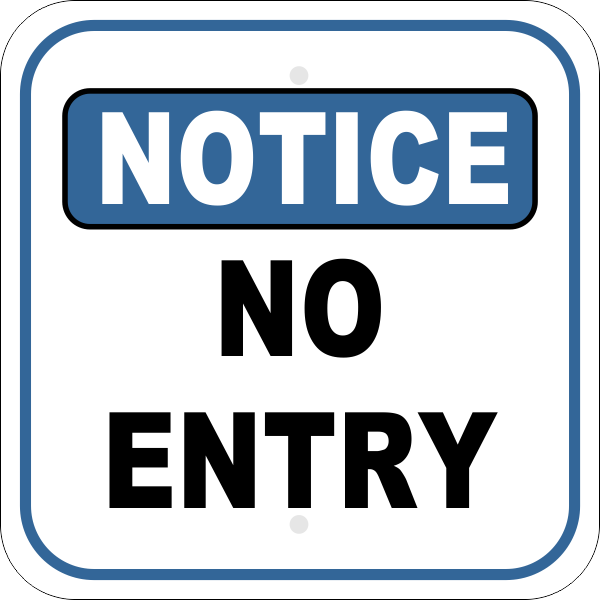 Buy your NO ENTRY Notice Signs here!